Back in the New Year and with my son Marco in mind I bought a George Foreman Grill. My though behind this purchase was to give it to him to take to Uni so he could easily cook, lean, healthy meals. Great for toasties, paninis and to grill veg or fish but not so good for meat, I don’t feel it gets hot enough and broils it instead of sealing it. 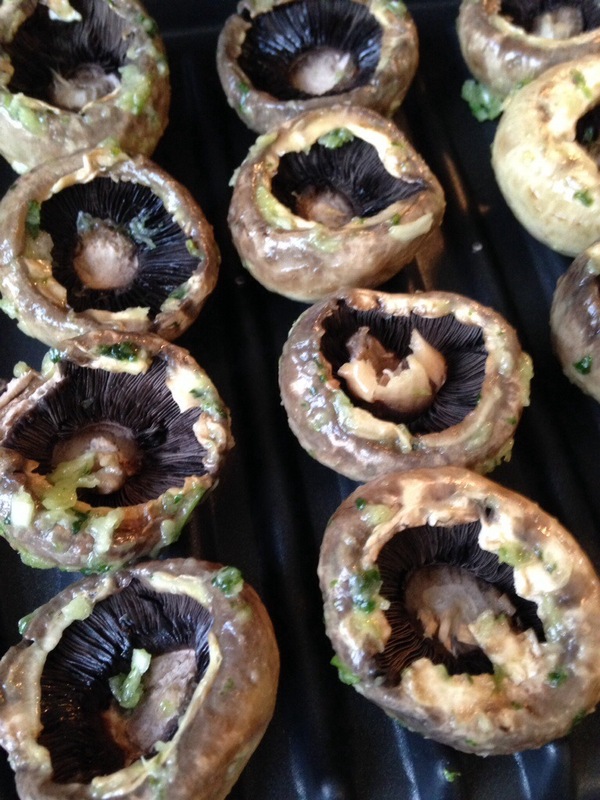 For this garlic mushrooms recipe using the Foreman grill couldn’t be easier. 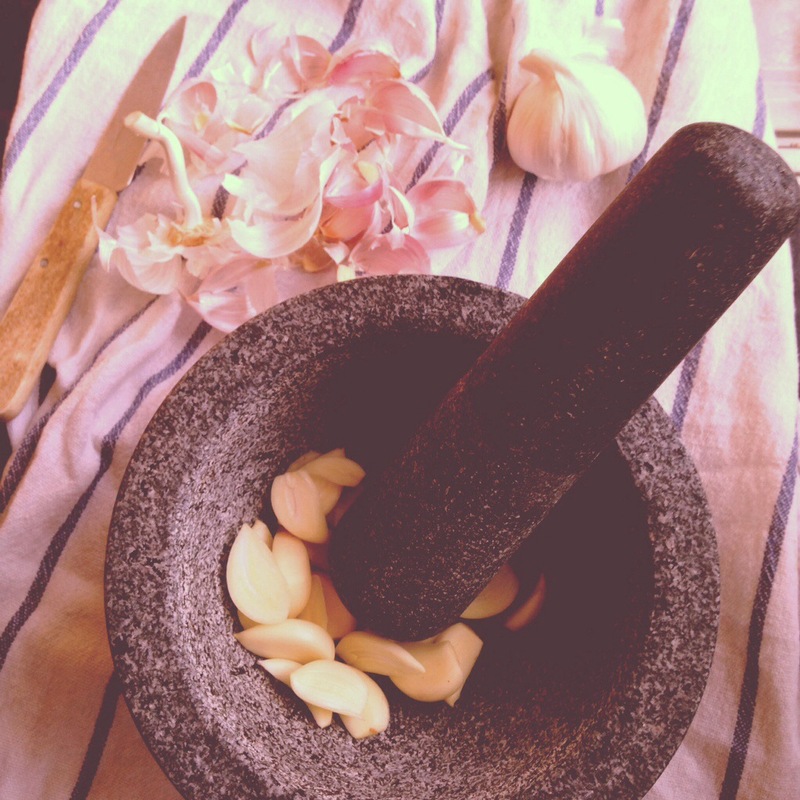 On a pestle and mortar crush some garlic and fresh parsley with sea salt before mixing in some olive oil. I used a whole head of garlic so I had some left for marinating some lamb chops too. 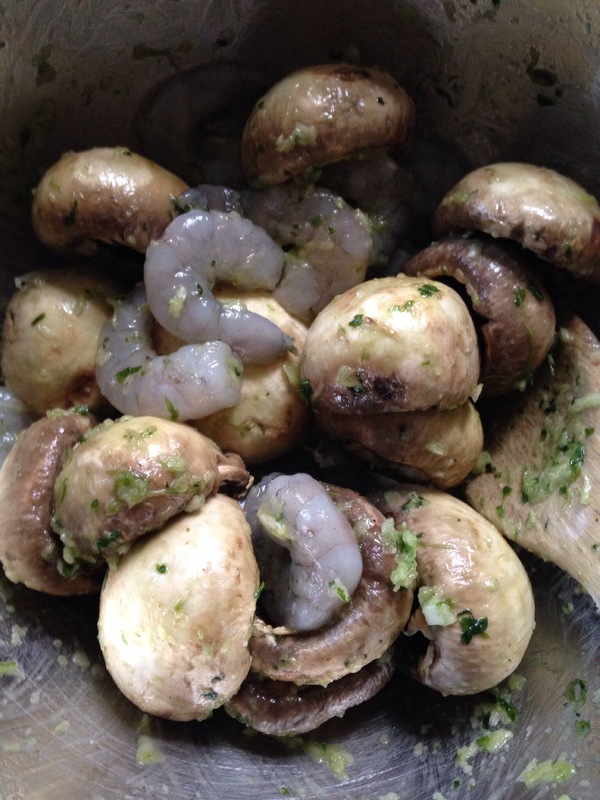 Mix the garlic oil in a bowl with some medium size mushrooms (stalks removed) and peeled prawns and leave to marinade for 30 minutes. 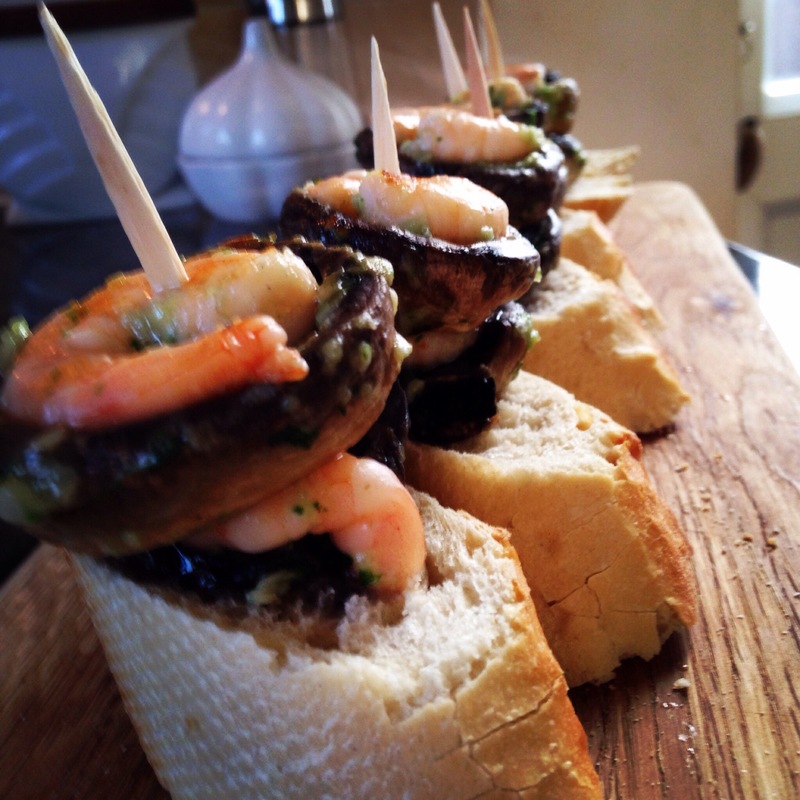 Four mushrooms and 4 prawns per person will make 2 tapas per person as a starter. Now the Grill comes into play. Once the grill is hot, place one layer of mushrooms open side up, close the lid and cook for a few minutes. 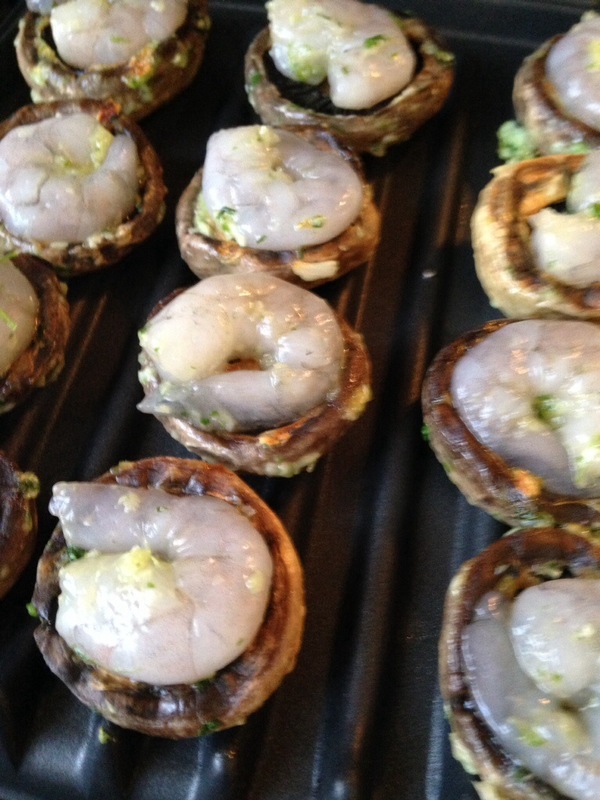 Fill the mushrooms cavity with a prawn in each and close the grill to finish cooking. Prawns will cook very quickly so watch carefully. Slice some bread and with a cocktail stick pick 2 mushrooms and place them on top. 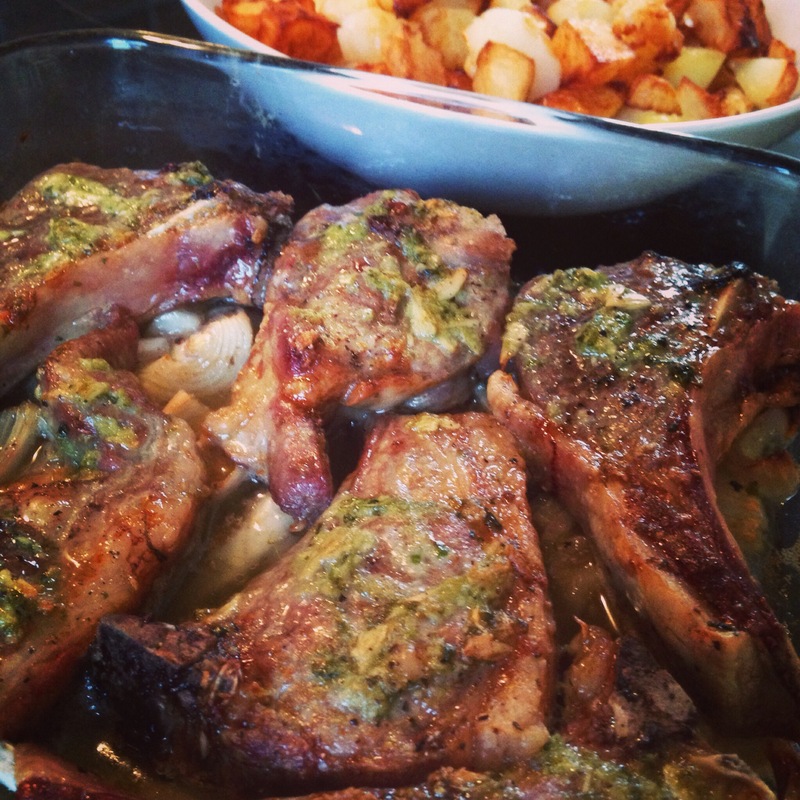 Use the same garlic oil mix to marinate some lamb chops, place on top of chopped shallots and white wine and bake until they look crispy but not dry, time will depend on the thickness of the meat. This entry was posted in baking, catering, cooking, eating out, fitness, food, health, home, home cooking, juices, kitchen, love, nutrition, small kitchen appliances, snacks, spanish, world food and tagged foreman, garlic, grill, lamb, mushrooms, oliveoil, organic. Bookmark the permalink.